All-new comedy adventure, perfect, clean and safe for the entire family! 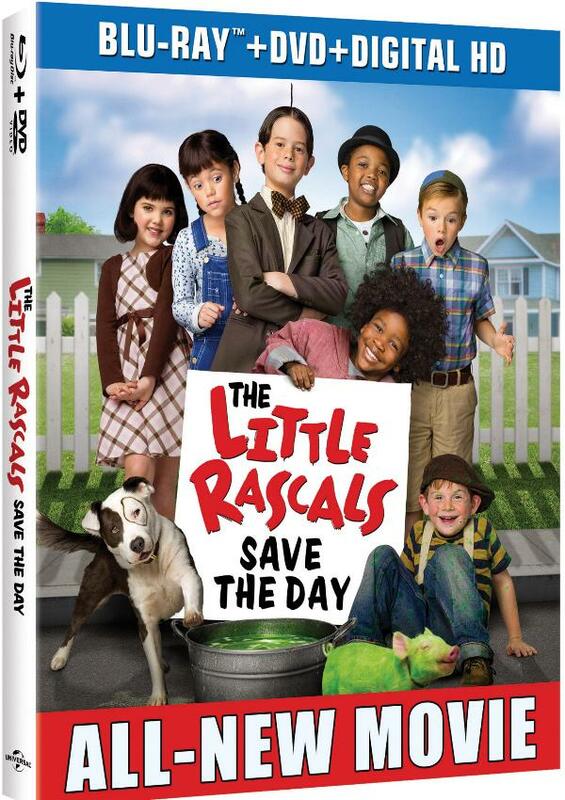 · Heart-warming movie starring all the beloved Little Rascals characters you love- Spanky, Alfalfa, Darla, Buckwheat and Petey the dog! SYNOPSIS: In the spirit of the treasured Our Gang comedies, The Little Rascals Save the Day finds the most entertaining bunch of third graders in town hatching a series of madcap schemes to earn enough money to keep Grandma’s (Doris Roberts of “Everybody Loves Raymond”) bakery out of the clutches of conniving businessman Big Ray (Greg Germann of Here Comes the Boom). From caddying to pet care to taxi service, each of their plans goes hilariously awry until they are left with just two options: find a way to win the local talent show or wave goodbye to the best cupcakes a kid ever tasted! This will be for our family. I would give this to my son if I won. He has been wanting it. I would give it to my youngest grandchild. If I win I will keep it for myself so the grandkids can enjoy it when they come over. I would give it to my niece and nephew. They are at the right age to truly enjoy it. I would keep this in my house for my kids. I would give to my grandchild. I would give this to my two boys! The whole family would watch this. Who will you give this to? I would watch this with my boys. I think they’d get a kick out of it. I would give this to my three kids. My children will like this movie! Thanks for the great giveaway! I will give this to my grandchildren, who will love it! I would keep it to watch with my family. It would be a fun movie for a family movie night. I would give this to my daughter, son in law, and grandsons to enjoy! I would give this to my husband. He always loved the little rascals. My daughter would really enjoy this!